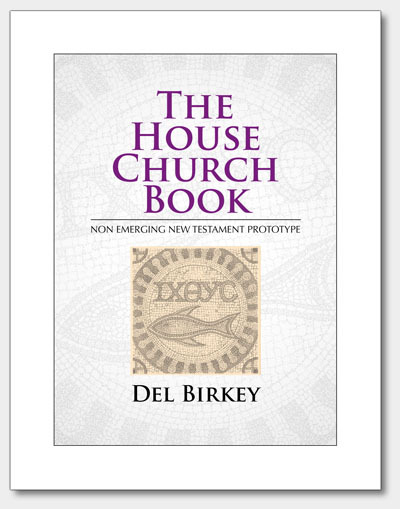 The House Church: A Model for Renewing the Church, by author Del Birkey was first published by Herald Press in 1988. In his former book, the author proposes the house church structure as a key to continuing renewal in the church today. After a biblical and historical look at the significance of the house church, the author looks at a model of ministry appropriate to that structure. In light of this model, a theology of renewal is developed through the servant leadership of both women and men, personal and corporate giftedness, participatory worship, and community commitment. The book is currently out of print, but has been update by the author. It is newly released in 2009 as The House Church Book: Non Emerging New Testament Prototype and available on this site first as an eBook, available for download in Adobe PDF format. Have you read this book? Share your comments below!